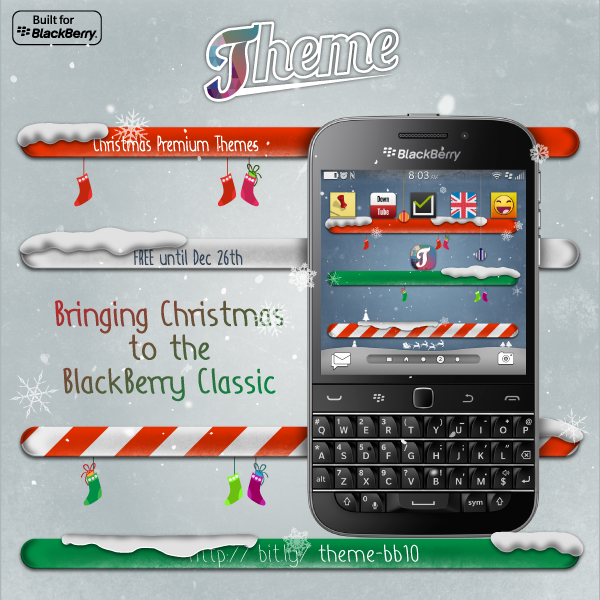 S4BB Limited has just released brought full compatibility with the BlackBerry Classic to Theme and added two premium Christmas themes. These two premium themes are available for free until shortly after Christmas. The S4BB team wishes everyone some Happy Holidays! Theme is compatible with BlackBerry® Passport, Classic, Z3, Z10, Z30, Q5, Q10, P’9982 & P’9983 and can be downloaded for free at BlackBerry World.